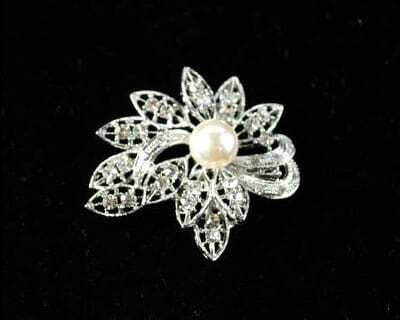 NOW BACK IN STOCK! 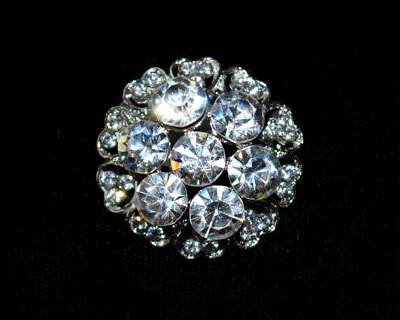 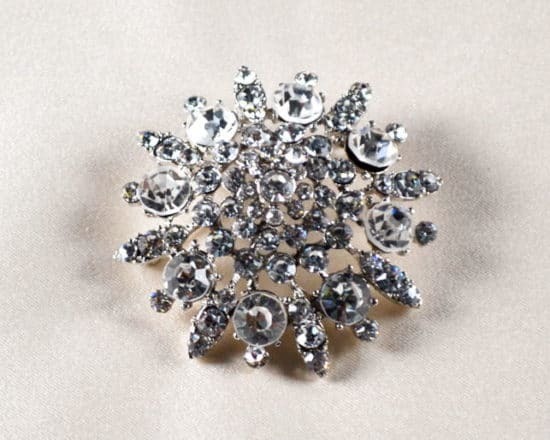 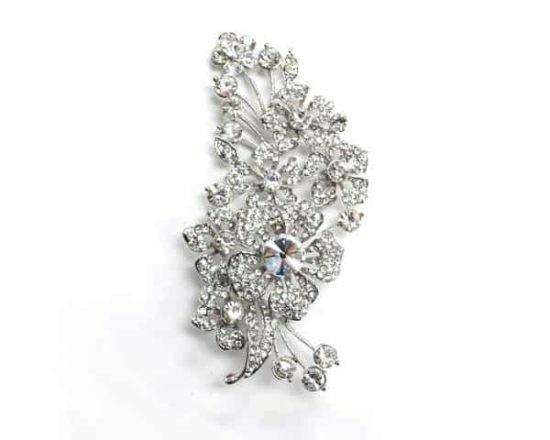 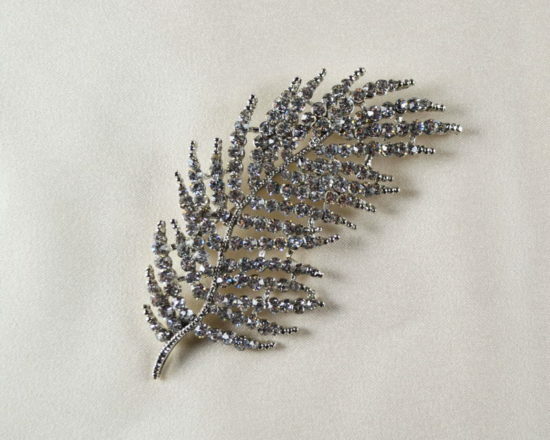 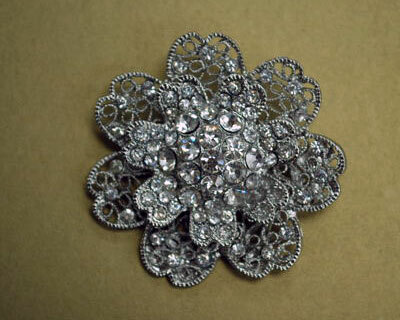 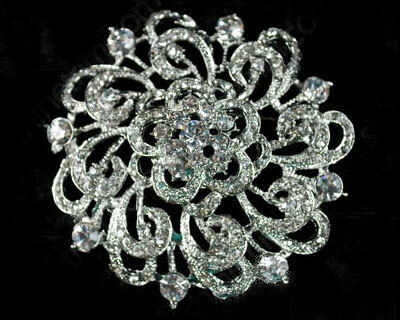 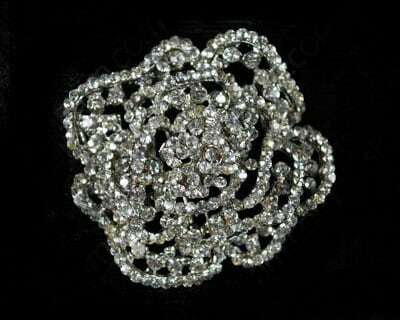 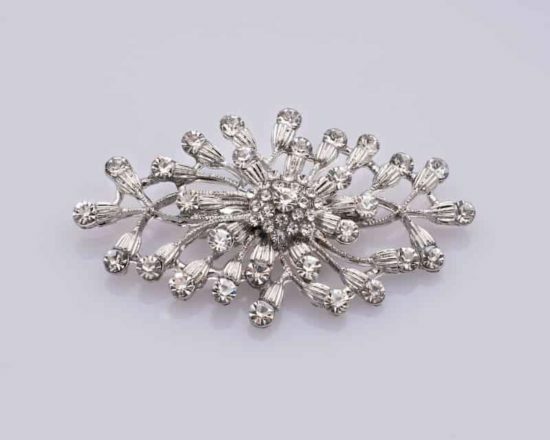 Beautiful silver rhinestone brooch. 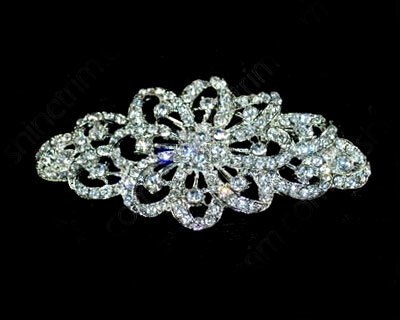 Perfect on a bridal sash or worn in the hair.